The type of people who are more efficient when they are in a bad mood. 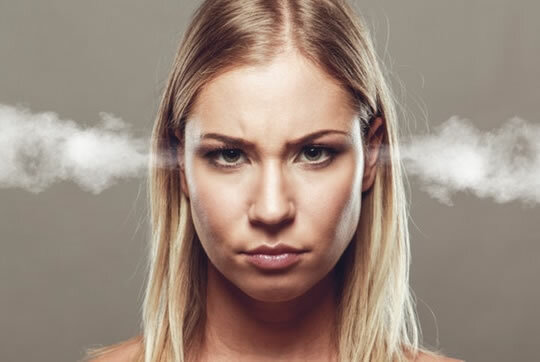 Being in a bad mood can help certain people think more efficiently, according to new research. Feeling fed up can boost some people’s ‘executive functioning’, which includes their ability to focus, plan and prioritise tasks. Conversely, good moods sometimes reduce other people’s executive functioning. It all depends on emotional reactivity, the psychologists found. Some people are highly reactive: their moods swing quickly and strongly at the slightest provocation. Highly reactive people were found to perform better on tasks when they were in a bad mood. It may be because more emotionally reactive people are used to dealing with bad moods, so it is less distracting for them. For people low in emotional reactivity, though, being in a bad mood was distracting, and they performed worse. The study included 95 people who were all given tests of emotional reactivity and different tests of executive function. Only bad moods had any effect on people’s ability to concentrate and use their memories efficiently. Positive mood states had no effect. The study was published in the journal Personality and Individual Differences (Gabel & McAuley, 2018).